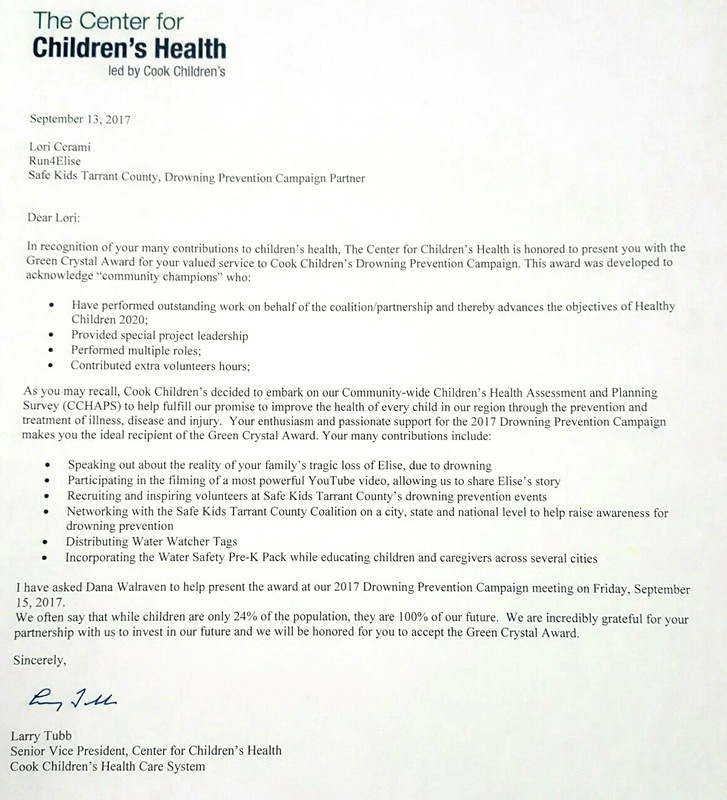 See how Swim4Elise is raising awareness for water safety advocacy across the community. As the summer quickly approaches, more locals will be cooling off by diving into the water. While swimming can be a great way to get in a little exercise or relax on a warm day, water emergencies can quickly become life threatening. So The Swim4Elise Foundation is calling North Texas swimmers to step up and participate in the 100 Lifeguard Challenge. 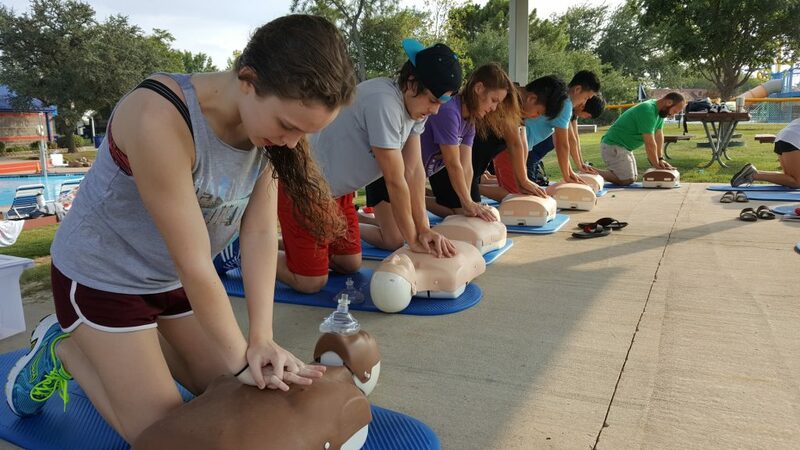 The foundation plans to sponsor 100 North Texas high school or club swimmers and their coaches to take a deeper dive into in-water safety skills by getting their Lifeguard Certification through American Red Cross. Their goal is to assist 100 swimmers and coaches in getting certified by December 31, 2018…. 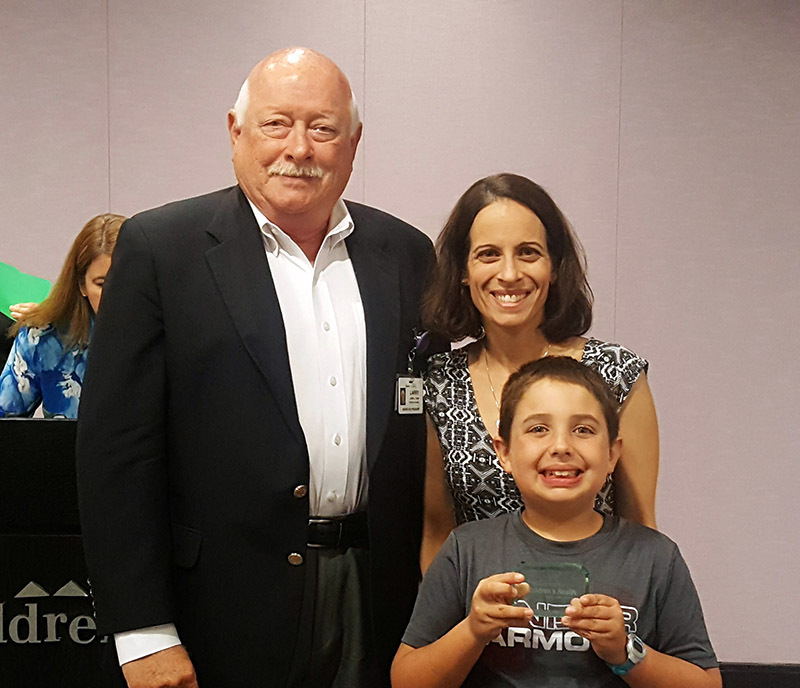 Lori Cerami and son, Bryce, accept the Green Crystal Award from the Center for Children’s Health, led by Cook Children’s. 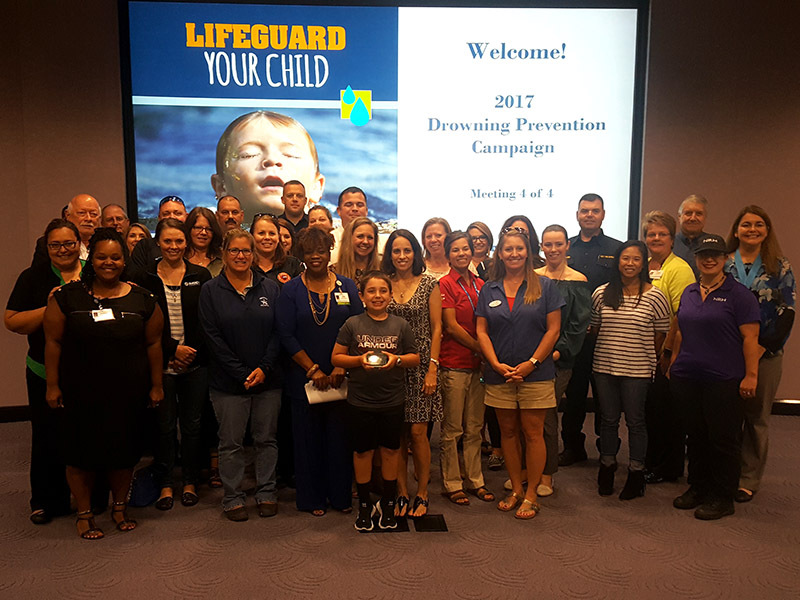 The award was given in recognition of Swim4Elise’s partnership efforts with the Center’s 2017 Drowning Prevention Campaign.